Elegantly landscaped pathways for biking and running create lively connections to wide-open green spaces, interactive art, and elegant water features. 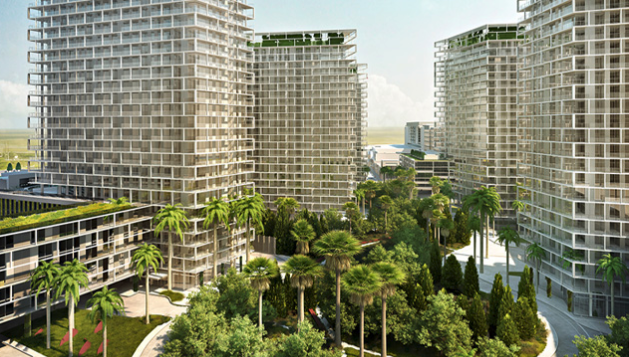 The South Beach inspired beach club, tennis courts, and Fitness & Wellness Facility are among many shared amenities that create a resort-style atmosphere. Each individual tower is fully amenitized with its own saltwater swimming pool and chic indoor spaces where residents can play, relax, and connect with friends and family. A full complement of 24/7 services ensures impeccable attention to every desire.